A sister product to our 57 Series FIPK, our 63 Series Intake Kits or AirCharger® Intakes are built for many different vehicles and represent a dramatic improvement over a K&N O/E replacement filter alone. These intakes use only non-metallic rotationally molded tubes that can reduce intake air temperature and decrease intake sound over a metal tube. Restriction can exist BETWEEN an air filter and the engine reducing the benefit of a K&N Air Filter. The weakest link in the airflow "chain" robs a vehicle of its natural horsepower. Often that weak point is the factory air path leading to the Engine. 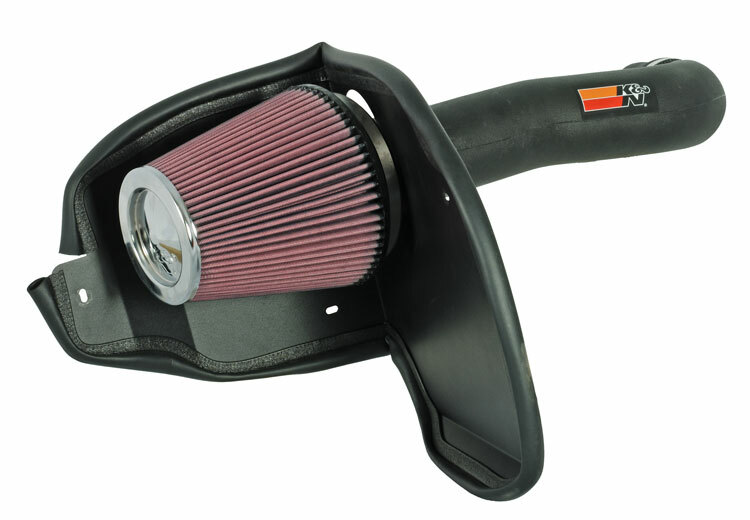 K&N Air Intake Kits virtually eliminate air path restriction by replacing the air filter and the entire air path to the engine. The aerodynamically engineered tube drives a massive amount of air into an engine, which translates into POWER. 63 Series Intake Kits are not legal for street use in some U.S. states.